Ahhh. Spring is in the air! Whether it looks like it where you are or not, it’s coming. And none too soon, for most of us, right?! 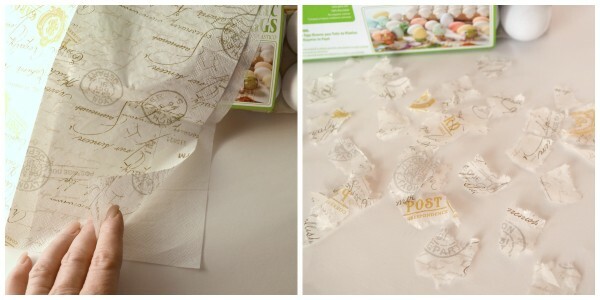 So let’s get in the mood with some spring crafting and decorating! 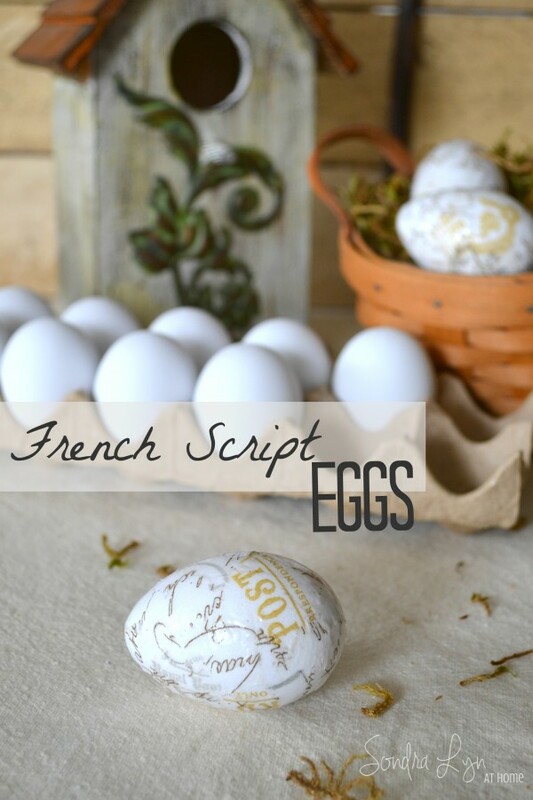 Lets make some French Script Eggs just in time for Easter! My thoughts turn to flowers and baskets and eggs… and that takes me back to this craft I learned years ago. Papier mache eggs! Have you ever noticed these before? I haven’t… but what a great idea! 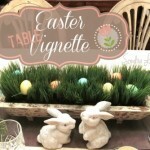 For about the same cost as real eggs you can get some that you can decorate and then keep and use year after year! And they look just like the real thing! First, separate the napkin from its other layers (most are 2-ply, some are 3). Then tear the printed layer into small, random pieces. 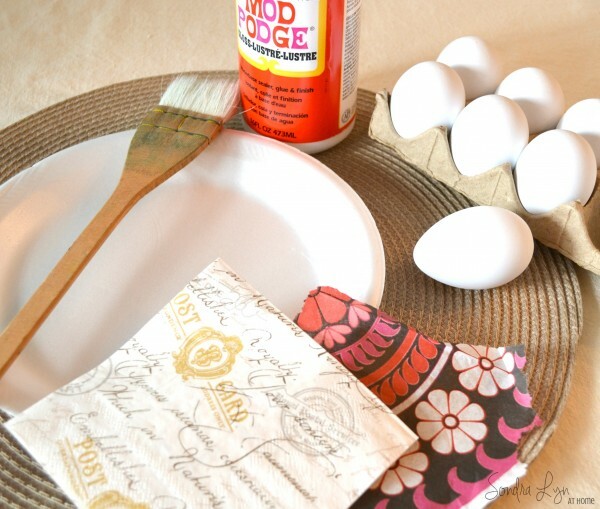 Coat egg in Mod Podge and begin to apply torn pieces of napkin, overlapping pieces slightly to cover all egg. This part is messy! You’ll have it on your fingers, so you’ll want a bowl of water and a cloth nearby. Allow to dry. Then go over entire egg with another coat of Mod Podge. At this point, you can shake on some glitter dust if you want. I didn’t here, as I really wanted to see the french script. 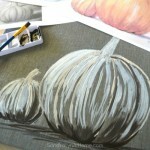 If you use Pinterest, don’t forget to pin this picture, so you can refer to this post when you’re ready to create! As you can imagine the possibilities are endless! 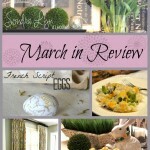 You can do colorful eggs, mod geometric eggs, romantic floral eggs… well anything you can dream, you can do! 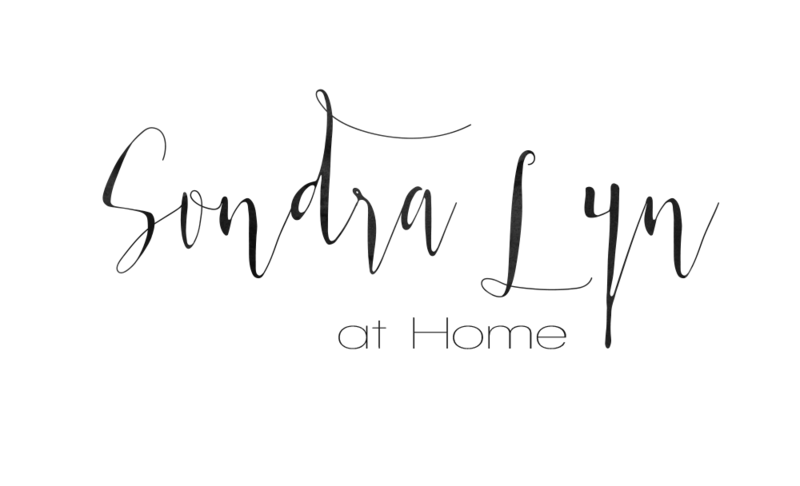 Sondra Lyn at Home ~ March in Review! Sondra, I adore the French script eggs! What a great idea! Shared earlier today and just now pinned. Love this craft. I think Emma and I will do this weekend. I’m thrilled that you like it! It is quite messy, as I warned, but you can do so many different looks… all depending upon the napkin(s) you choose. Let me know how they turn out!! I knew I’d seen some white eggs recently but I couldn’t remember where I saw them. So glad you told me! These are just beautiful! 🙂 Pinning! These look so great, and it is something the craft challenged can handle. Visiting from Wake Up Wednesday Linky Party. Thanks for visiting, Heidi! Yes, this is not a difficult craft at all. Enjoy!! Where did you get the French script napkins? Hi Teddee! Yes, I will amend the post and include some napkin detail. I actually already had them, but I think they came from either Tuesday Morning or TJMaxx. Love the French Script Eggs. Can you let us know where you found the paper napkins you used? Hi Cindy! Yes, I will amend the post and include some napkin detail. I actually already had them, but I think they came from either Tuesday Morning or TJMaxx. Thanks, Sharon!! 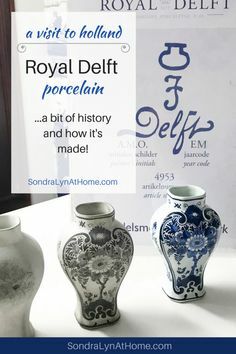 I hope you do get to make some… so easy, yet pretty! Enjoy! Love these French Script Eggs. I’m going to have to get busy! These eggs are absolutely gorgeous! What a great idea. I love DIYs that are simple and quick! You have great style!